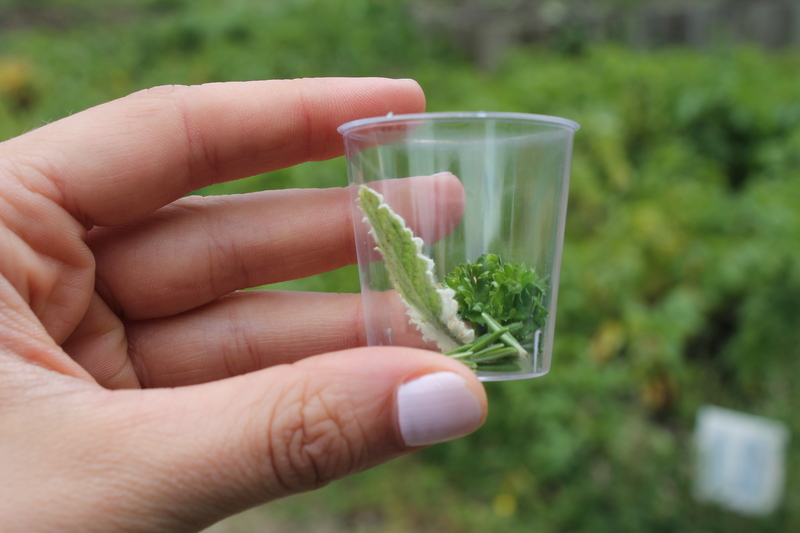 Biodiversity Summer Camps kicked off this July with glorious garden tours filled with tree identifying, myth telling, polytunnel exploring and learning about how we influence biodiversity in our surrounding environments both positively and negatively. “Smelly Cocktails” soon followed where the kids got to taste the tangy, homegrown herbs and “pick ‘n’ mix” their own concoctions before finishing with some freshly brewed, organic herb tea. They then hunted the garden for some compost and potted their own lavender plants to take home. (Limited places left for our next biodiversity events in August for Heritage Week). For anyone with an interest in local biodiversity, looking for a new outdoors activity or simply wants to pick up some expert horticulture and gardening tips, WHY NOT JOIN A COMMUNITY GARDEN?! It’s free with no obligations or experience required. Led by our horticulturist Sharon, she brings a wealth of experience to the Dublin Community Gardens and would be delighted to have you. Biodiversity is the variability among living organisms from all sources – terrestrial, marine, and other aquatic ecosystems and the ecological complexes of which they are a part. This includes diversity within species, between species, and of ecosystems. Biodiversity forms the foundation of the vast array of ecosystem services that critically contribute to human well-being. The National Biodiversity Data Centre is an excellent Irish biodiversity resource. With some simple changes we can lessen our environmental impact, and thereby our adverse impacts on biodiversity! Reduce/QUIT the use of pesticides and fertilisers in our gardens. These have knock-on effects in wildlife populations and run off into water courses with adverse effects for the plants and animals living there. Reduce, reuse, and recycle, with an emphasis on REDUCE – buying less non-essential stuff. We featured this article on recycling on our Facebook page this month. Buy local, organic food and drink and/or grow your own. Reduce single-person car use. Car pools, public transport, walking, and bicycling are also options. Read more about Green Transportation in our previous post. Conserve energy in your home. And we have plenty of tips on how to take action here. Global Action Plan’s Biodiversity Camps are supported by Dublin City Council.